For Demian Maia it became clear that BJJ is the ultimate way to differentiate fight skill. “I think jiu-jitsu is still the mainstay of MMA,” Maia said. “I thought about it when I saw (Floyd) Mayweather’s (boxing) fight against (Conor) McGregor. [McGregor] lasted 10 rounds, but if it was Mayweather (in jiu-jitsu) against a blue belt or even a white belt with a year of training, he would have lost in a minute. I have no doubts (about that). 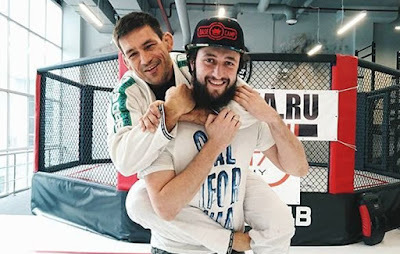 Even though Maia credits excellent wrestling camps for his success in the octagon he’s still an adamant representative of bjj.